The 12th of IESA Vision Summit 2017 proves India's potential to grow and establish as the landing place in the electronics Industry. Read on for a peek at the happenings of the event that was held on the 21st and 22nd of February, 2017. The 12th edition of the Vision Summit was graced by the participation and the thought provoking presentations of CXOs of global leaders in the industry, some of which includes Cypress Semiconductors, Rambus, Qualcomm, IBM, Tessolve, Seagate, Western Digital, Applied Materials and many others. The inaugural speeches of K Krishnamoorthy – Chairman, IESA, Ravi Gururaj – President, TiE Bangalore, Shri. Rajiv Bansal – Joint Secretary, MeitY, Govt. of India and Ashwini Aggarwal – Director - Government Affairs, Applied Materials India, certainly provided a great start to the summit’s experience throughout the two days. The conference also included participation from the leaders of the majorly contributing countries of the Industry, including Japan, France, Belgium, USA, Scotland and others. 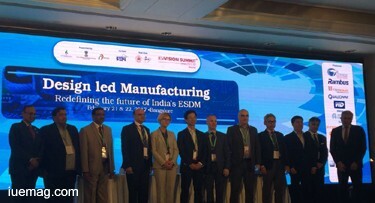 Senior officials from the state governments of Karnataka, Kerala, Chhattisgarh, West Bengal, Jharkhand graced the event with their presence and stressed on implementing the ESDM policies in their respective states. The illustrious IESA Technovation Awards was presented for excellence in ESDM covering various categories. The awards were presented by Sh. Umesh Prasad Sah, Director - IT, Govt. of Jharkhand, Sh. Shailendra Kumar Tyagi, Director, STPI – Bangalore, Sh. S V Rasal, Managing Director, Institute for Design of Electrical Measuring Instruments (IDEMI), Sh. 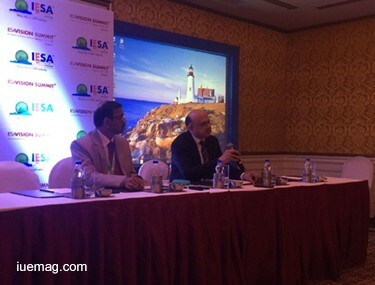 Santosh Kumar, President & MD, Texas Instruments and Shri K Krishna Moorthy, Chairman IESA. To promote growth in the electronics space, IESA also signed 4 MOUs on the 21st of Febraury, 2017. The Chairman of IESA also mentioned about the Electropreneur Park set up in New Delhi last year, to nurture many promising start-ups. Keynotes addressed by Ray Bingham – Executive Chairman of the Board Cypress Semiconductor, Dr Ron Black – President and CEO, Rambus Inc., and Ganesh Guruswamy – Senior Vice President, Western Digital on the themes of ‘present and future of IoT leading to digital way of life,’ ‘Bringing Design-led Manufacturing to Life,’ and ‘Innovation in a Data-Centric World’ respectively, provoked wider thoughts. 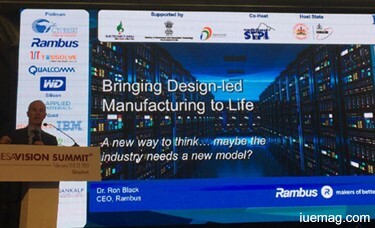 While the first day of the summit focused much on ‘Design,’ the next focused on ‘Manufacturing.’ With various interactions on the evolving electronics industry, advancement of storage system designs, there were also other panel discussions on ‘Display Technologies – Global Trends & India Opportunities,’ ‘Flexible Electronics – Trends & Challenges,’ and ‘Challenges for Electronics Manufacturers in India.’ Simultaneously, various workshops on ‘Creating ESDM product innovation hubs on campus’ and ‘India Digital Broadcast’ were held. The Valedictory addresses by Shri. Priyank Kharge – Hon’ble Minister IT & BT and Tourism, Govt. of Karnataka and Ujjwal Munjal – MD, Hero Electronix, provided a great closure to the summit. Hero Electonix’s investment of $100 Million was mentioned. Shri. Priyank Kharge’s powerful speech about India’s willingness to face bigger challenges in the sector, provoked inspiring thoughts in every attendee. Shri Rajiv Bansal, Joint Secretary, MeitY, Govt. of India, also mentioned about the initiation of various schemes and policies like MSIPS(Modified Special Incentive Package Scheme), to help support the industry, the Digital India Campaign and Make In India Campaign. With allocations like Rs. 689 Crores for EDF(Electronic Development Funds), there is no doubt that India shall undoubtedly be the next global manufacturing hub. The summit made way for a lot of networking among the delegates and the speakers. 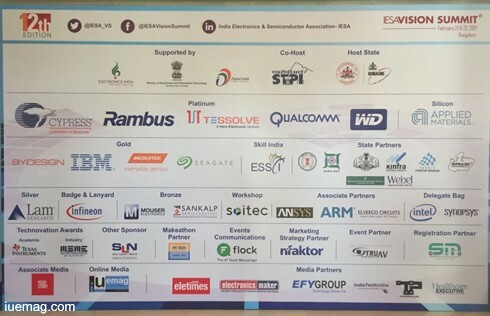 It also led to every participant go back with a lot of strength and support provided by IESA to innovate in and contribute to the electronics industry. The iUeMagazine team was delighted to work with IESA Vision Summit 2107 as Online Media Partners & to have brought Unlimited Inspiration for all readers from the proceedings of this event.